Life was perfect… until it wasn’t, and when we were forced to go our separate ways, I held on to our memories, let go of my first crush, and wished for the day I’d find him again. First, there are not enough stars to rate this story for me. It is absolutely perfect, and I loved everything about it. It starts on April 8th, which happens to be my birthday, and Eleanor is a BIG Harry Potter fan and so am I. I was the same way when each book came out. I had to devour them on release day. And now I find myself devouring Brittainy C. Cherry's books even more. So, this book is my birthday present to myself this year and it was a perfect gift. Eleanor is the nerdy heroine who just wants to read the next Harry Potter book in peace and quiet. When her cousin Shay drags her to a party. Eleanor finds a place under the stairs (just like Harry Potter) to read and hopefully be left alone. When the star basketball player sits down beside her. He asks her to pretend to talk to him so his friend will leave him alone. The feelings that stir when Greyson touches Eleanor is something new and Eleanor isn't sure what to do. Greyson East likes sitting by Eleanor Gable, she is different, sassy, and tells him like it is. She doesn't tell him what he wants to hear, she tells him what she thinks. It is a breath of fresh air. And Grey finds he wants to spend more and more time with her. When Ellie goes through a painful situation, Grey is there to share his light and help her. And when things seem to sour for Grey, it is Ellie that helps him see the light. They are both there for each other until Ellie and her parents move away. While Ellie and Grey continue to call and connect on AOL messenger, they lose touch. Now some 15 years later, it is Ellie that walks back into Grey's life and he is so far into the darkness that it might be too late to pull him into the light. So now Eleanor is the nanny for his children and sometimes she sees the boy she used to know. But the hardness and pain she sees is more and might be too much to bring him back to her. Can Eleanor help Grey and his daughters heal from their loss? Will Grey be able to let Eleanor back in to help him heal? Will they all be able to help each other heal and move forward and live a better future? All I can say is, Read This One. You will not be disappointed. Just be prepared for all the pain, heartache, and love that is Eleanor & Grey. If you haven't read Brittainy C. Cherry before, just pick one, read it, and you will love her and have a new favorite author. She has been in love with words since the day she took her first breath. She graduated from Carroll University with a bachelor’s degree in Theatre Arts and a minor in Creative Writing. 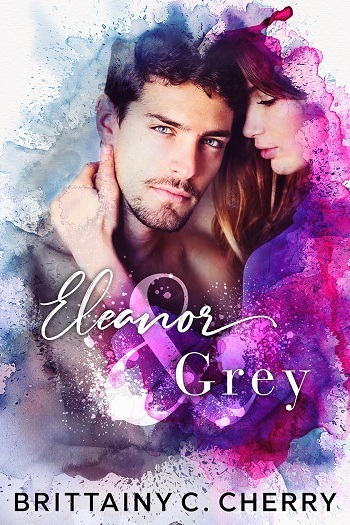 Reviewers on the Wicked Reads Review Team were provided a free copy of Eleanor & Grey by Brittainy C. Cherry to read and review for this tour.